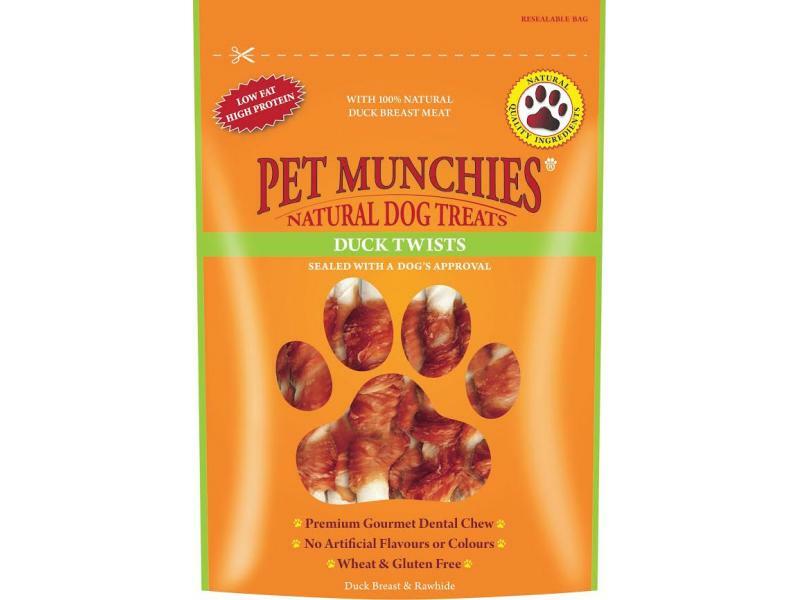 Pet Munchies Duck Twists are premium gourmet dental sticks with succulent twists of 100% natural duck breast wrapped around a rawhide stick. Designed to satisfy your dogs’ natural instinct to chew, they can help to reduce tartar and plaque for healthy teeth and gums. Naturally low in fat, delicately roasted to perfection. No artificial flavours or colours. Wheat, cereal and gluten free. 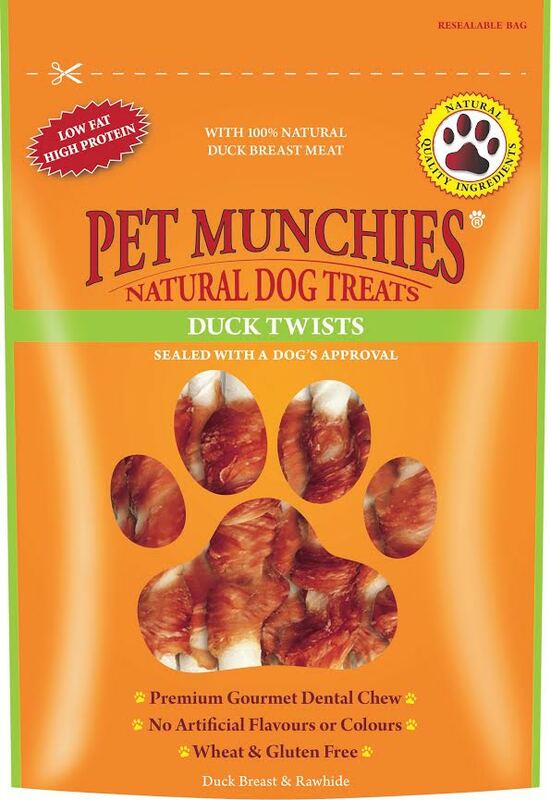 There are currently no questions for Pet Munchies Duck Twists - be the first to ask one!